Today I’m so excited to bring another natural beauty favorite of mine to you! This is part of my mini series where I talk about using natural products, and why what you put ON your body is just as important as what you put IN it. 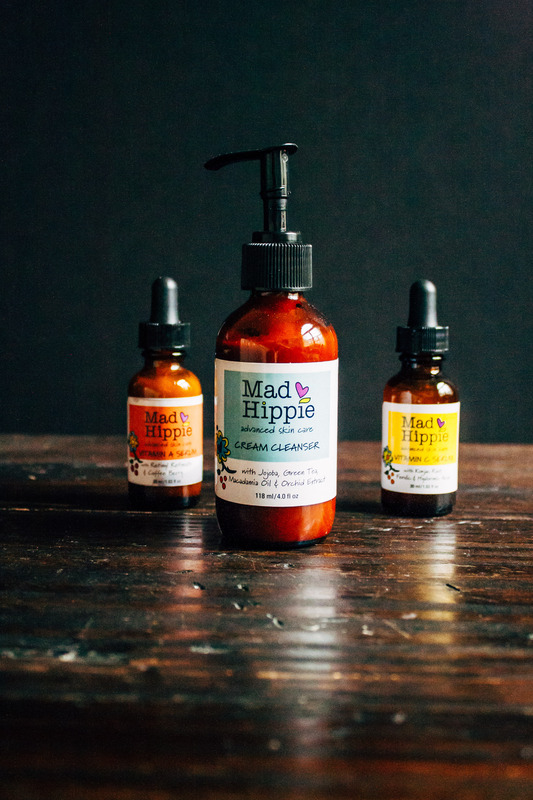 I first heard of Mad Hippie Skincare on Instagram, where they came up as a recommended account. The first thing that caught my eye was a post about their Vitamin C serum – something I had been eyeing for my own personal skincare routine. Vitamin C has been shown to brighten the skin, in addition to being a powerful antioxidant (both in and out of the body!). But I also was immediately drawn to the fact that they offer an all-natural, plant-based line of skincare. 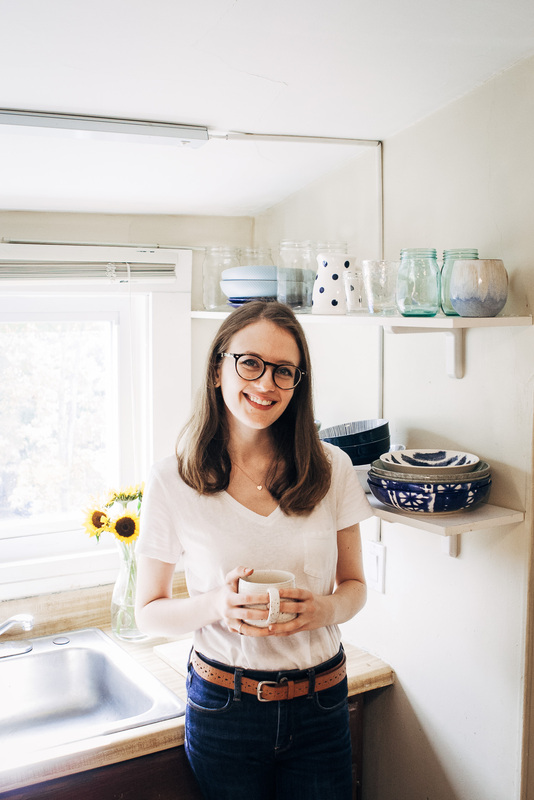 Confession – as much as I espouse a natural, plant-based lifestyle, I still get a little skeptical when it comes to natural remedies. But living in a Western culture, we’re taught that synthetics are the answer to everything. Naturopathic remedies are looked down upon because there aren’t many peer-reviewed, scientific studies to back them up. But the problem is, hardly any respected scientific agencies are actually conducting studies on these natural remedies to prove or disprove their efficacy. So no wonder they don’t have any “Western” evidence to back them up! However, other systems of healing have been using plant medicine for thousands of years – namely, the Ayurveda and Traditional Chinese Medicine. And, almost hypocritically, our Western society has quietly adopted the use of plants in our medical treatments. My favorite example to share is that of the Rosy Periwinkle, a flower native to Madagascar. In colonial times, it was used as a folk remedy for diabetes. Then, around the time of World War II, researchers caught on to the uses of this plant and began research in earnest. The Rosy Periwinkle is now used as a cancer treatment, containing the compounds vincristine and vinblastine, which inhibit mitosis. So I pose the following question for your consideration – How many other plants are there waiting to be discovered, that have the potential to be medical remedies? But let’s get back to plant-powered skincare. 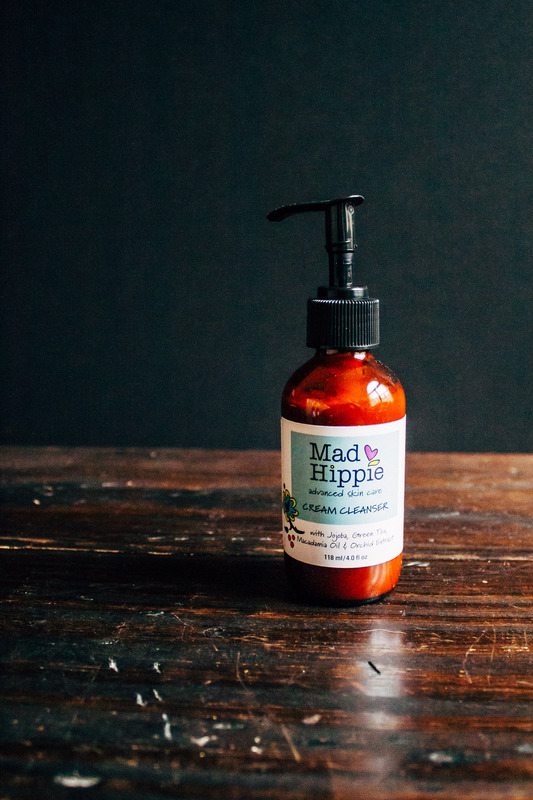 One of the reasons I feel so enthusiastic about the Mad Hippie Skincare line is because they actually use plant extracts in their products. 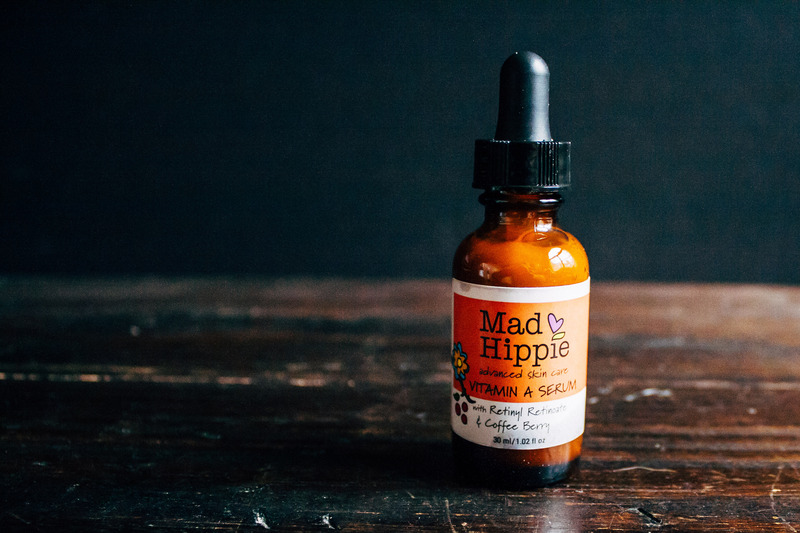 For example, their Vitamin C Serum contains grapefruit, chamomile, and clary sage – three of my favorite plants for natural beauty. And what’s more, this product actually works. As I said before, Vitamin C is known to help brighten the skin and leave it glowing. 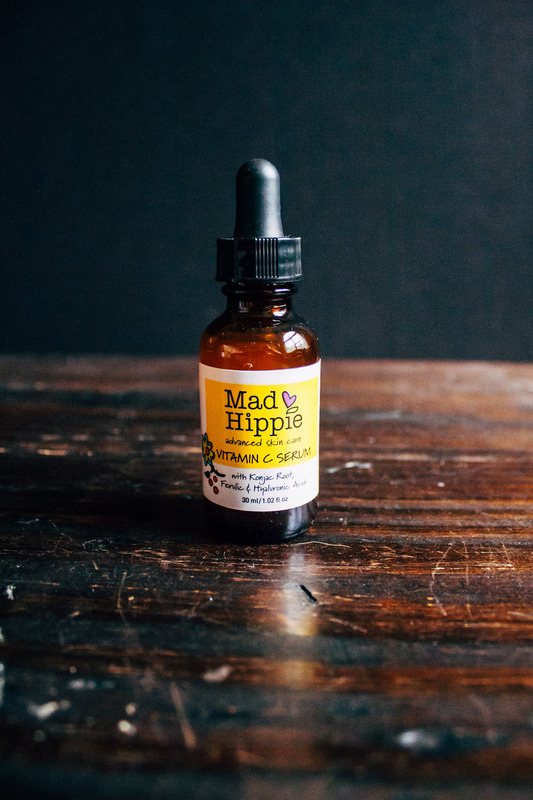 So I applied the Mad Hippie serum to a pesky acne scar I had on my cheek, and it went away in two weeks! I shouldn’t have been surprised, though – the power of plants is real. :) I hope you have a wonderful, plant-powered day! Medicine’s a funny business. After all, dispensing chemicals is considered mainstream, and diet and nutrition is considered alternative. Checking out this goodness as we speak! Thank you for sharing Sarah. 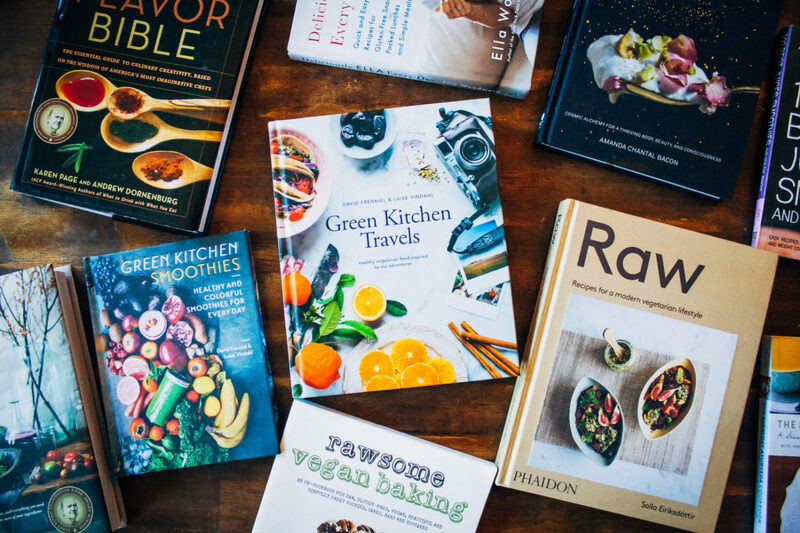 Plants rule, and so do you – xo! Thanks for recommending Mad Hippie. Been looking for a new cleanser, I’ll have to check this one out! Very good collection of natural skincare products. Plants are awesome. Thanks you for such a nice post.